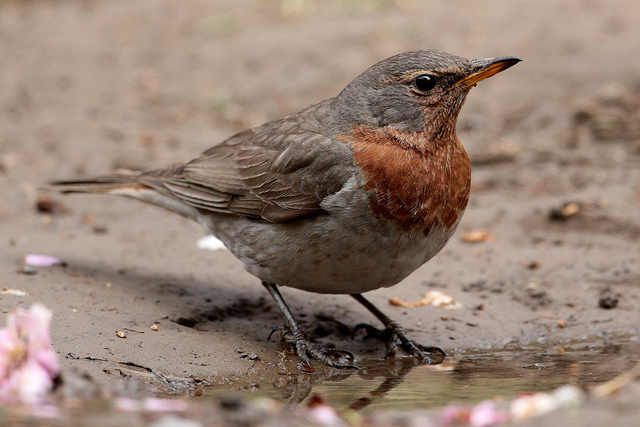 The Red-throated Thrush breeds in southern Siberia. Sometimes it appears as a winter vagrant in Western Europe. 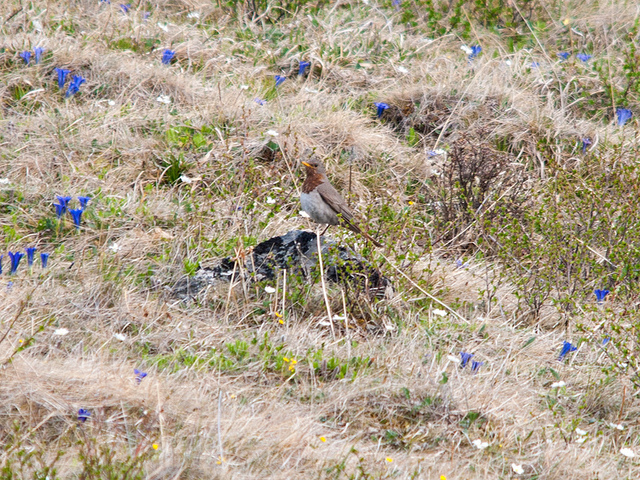 The male has a reddish-brown throat and breast, the female is light-brown with reddish-brown tail-feathers.